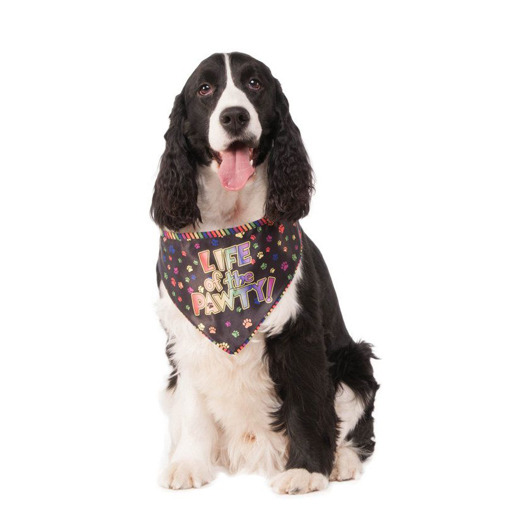 This fun bandana is black and features all kinds of colourful paw prints on it with the words "Life of the Pawty!" written in the centre. Buy yours today, and your dog will be feeling hip and groovy all night long.